In a world of Amazons and Walmarts, small businesses are constantly wondering how they can compete against companies with millions, if not billions, more to spend on customer service, sales, and marketing. A particular area of concern is what tech to use. Enterprise companies can afford to throw thousands (and in some cases, millions) on finding, customizing, and adopting robust customer relationship management software. Small businesses, on the other hand, are on tighter budgets and can't afford the same feature-rich solutions. It might seem like increasing your software budget will also increase the software's benefit; that might explain why 13 percent of small-business owners plan to increase their spending on CRM software in 2019. But small businesses should be wary of buyer's remorse, especially when it comes to costly tech, as nearly 50 percent of CRM licenses go unused. So where’s the disconnect? Why are so many small businesses leaving money on the table? More often than not, it’s because they’re using a piece of software that wasn’t built with them in mind. Traditionally, developers sold pricey, feature-rich CRMs because they served only large organizations that needed the complexity. Today’s platforms are accessible to businesses of all sizes, but what works for an enterprise doesn’t necessarily translate to the small-business space. Many CRM companies start by marketing their products to small businesses because early versions of their software are too simple for enterprise needs. However, it’s not uncommon for these companies to eventually move upmarket as their software becomes more sophisticated in order to capture those enterprise-level sales. When that happens, CRMs that once fit a small business just right become too complicated, too expensive, and ultimately unusable for their initial customers. Admittedly, cutting-edge CRM features aren't going anywhere. Large corporations can afford more complex software, and organizations of their caliber demand those high-tech solutions. But remember, a product is valuable only when it meets your needs. 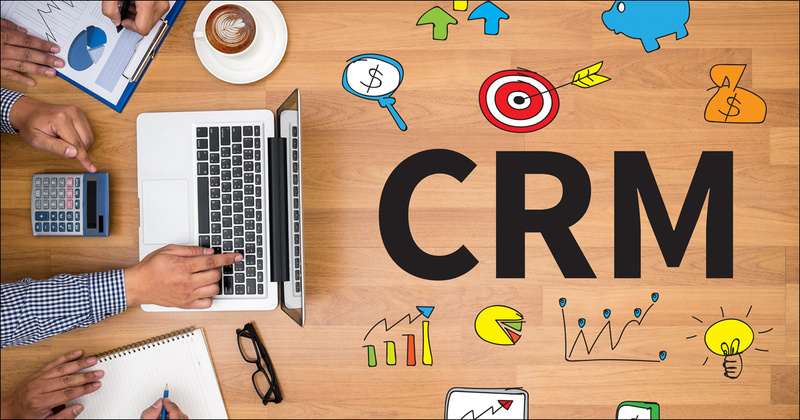 The following CRM features usually aren’t necessary for small businesses and indicate that a CRM might be designed for a business with different needs (and a bigger budget). Over the next few years, we’ll see more software companies promoting AI and ML in their CRM software with the promise of spitting out accurate lead scores, forecasting potential sales, and predicting the future health of a company. But how much of this is marketing hype with little payoff, especially for small businesses? Consider that ML technology’s value is derived from the fact that it can comb through massive data sets to find patterns. This might be valuable for large companies, but small businesses likely don't have enough data to justify the investment. As a small business, you don't need ML to know which leads to focus on and which ones are likely to close. What you need is a bird's-eye view of all your deals. Many simple CRMs come with a customizable pipeline feature that allows you to track prospects, existing customers, and projects. You can use your pipelines to filter or sort your leads by priority and glean further insights from reporting. Big businesses need automation because they are trying to turn their processes into an assembly line, and they want to make sure that individual employees are following a specific procedure. But not only is heavy automation expensive and confusing, it also eliminates the human touch that makes small businesses unique. Your personal interactions, rather than light-speed efficiency, give you a competitive edge. Instead of having a computer tell you when and how to interact with customers, rely on the reminders feature in your CRM to schedule purposeful follow-ups with leads, prospects, and customers. According to a lead management study, sales reps should call leads at least six times before giving up—and when reps make more call attempts, they boost contact rates by 70 percent. By staying on top of those follow-ups via your reminders tool, you’ll be more likely to close more sales. At big companies, managers, executives, and department heads need a variety of customizable reporting dashboards to make sure they hit their targets. But at a small business, managers often don't need complex reporting; they just need a snapshot of all leads, a summary of last month's deals, activity for each sales rep, etc. None of these reports constitutes vanity metrics; each will give you data that you can actually act on. As a small business, you need to invest in a CRM system that works for you, not against you. CRM companies won’t stop making CRM products that are bloated with features—it’s how they make more money. So it’s important for you to understand what you need out of a CRM system and what you don’t. Tyler King is the CEO and cofounder of Less Annoying CRM, a simple CRM built from the ground up for small businesses. Thousands of small businesses use LACRM to manage contacts, track leads, and stay on top of follow-ups. When King’s not obsessing over improving the product, he’s working with the rest of the team to make sure that Less Annoying CRM truly lives up to its name.